November’s midterm elections are fast approaching — but some voters may find they’re no longer registered to vote, even if they’re eligible. 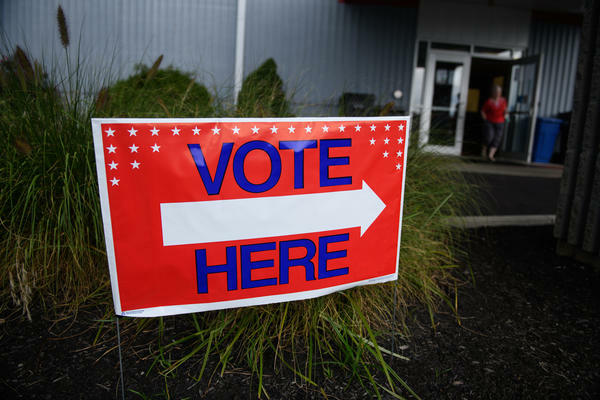 The Brennan Center for Justice at New York University Law School has released research showing an uptick in voter roll purges, including some removals that it says are illegal. Here & Now‘s Jeremy Hobson talks with Brennan Center lawyer Myrna Pérez (@myrna_perez_) about the voter purges and how they may affect the midterms. “There is a very big difference between noncitizens getting on the rolls and noncitizens actually voting. There are a lot of reasons that folks who are not eligible might end up on voter rolls through no pernicious or malicious reason — through a mistake, because someone misinformed them and the like. As far as people who are noncitizens actually voting, it was really disappointing to see the president make that kind of statement because it is false. We actually did a study shortly thereafter where we went to election administrators that were the most likely to see large numbers of noncitizens voting, and even casting a very wide net, even looking very far in advance, we just found a handful of folks who may have been noncitizens that actually voted. And obviously, we want that number to be as small as possible, but like anything in life, the response needs to be proportionate to the harm, and it actually needs to fix it.